Add more accessories to this order in the options below and save (when compared to the regular list price). 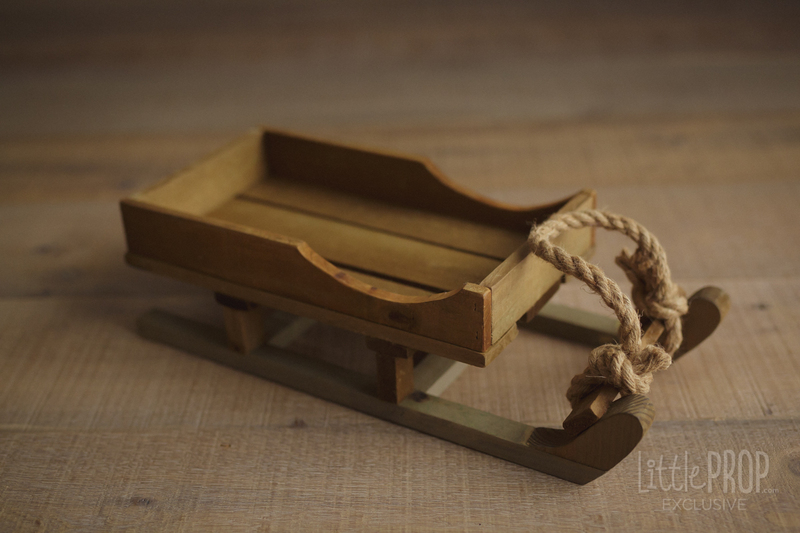 As a newborn photographer myself, this sleigh has been designed by me with newborns in mind. 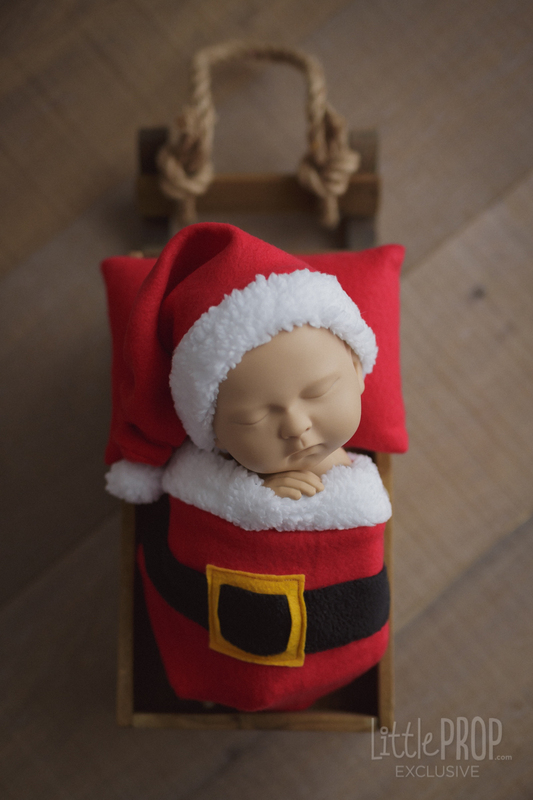 It's perfect for a newborn's size without being too large, bulky or distracting. Each sleigh includes one pillow in the color of your choice. 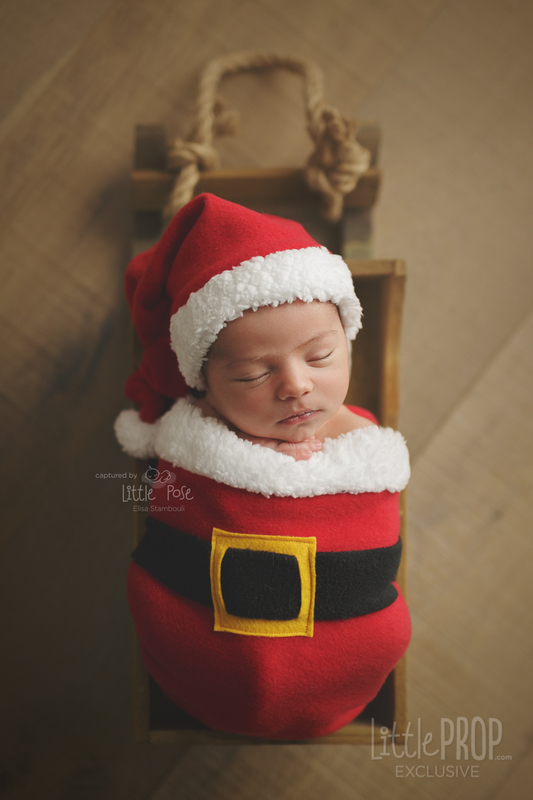 Optional Santa's Wonder Wrap in newborn size. Made out of solid wood and with a very nice rustic touch to it. 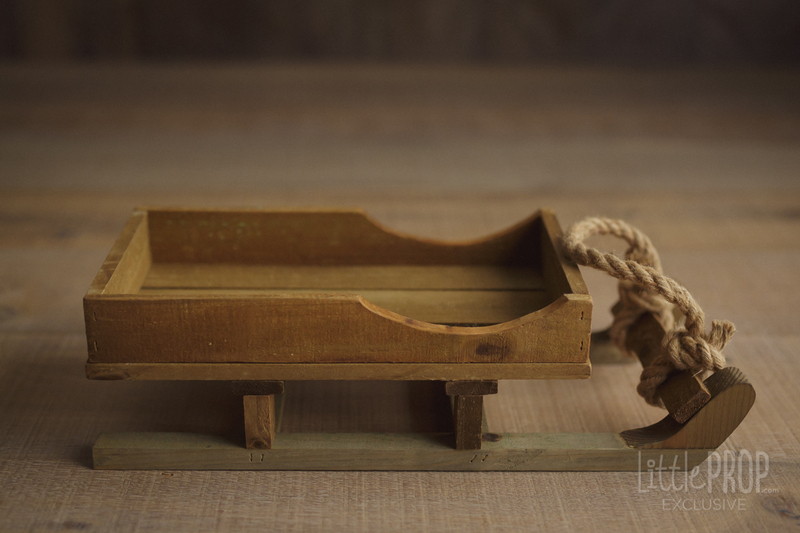 Our beds are 100% handmade in the USA by dedicated wood crafters. Wood grain and texture might vary from the ones pictured, however they will all be equally beautiful and unique. 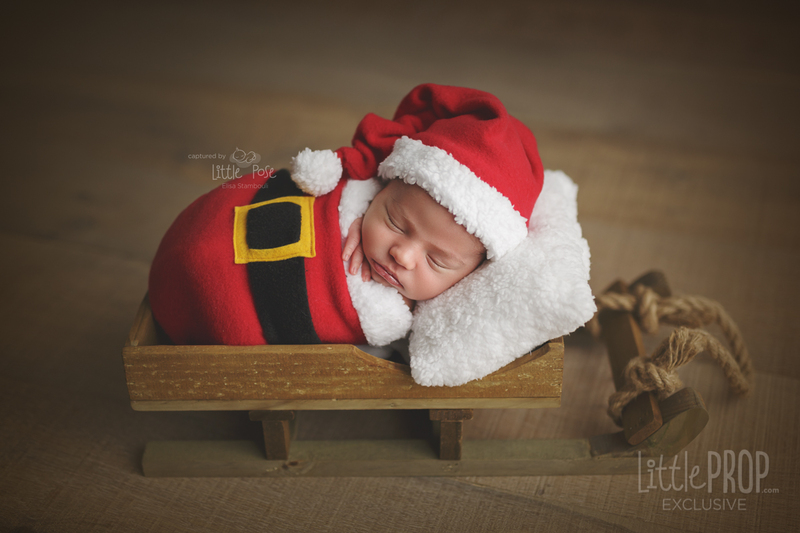 Never leave a baby unattended while posing on any prop. Little Prop is not responsible for improper use. Even though my camera and screen are accurately calibrated, all other screens display colors differently so actual colors might slightly differ from the colors displayed on screen.